Turku, Finland, 9 July 2018 – Introducing the new intelligent loader, Sandvik LH517i, Sandvik strengthens its fast-growing i-product range. The Sandvik LH517i is designed to meet customer expectations being safer, more reliable and efficient, supplemented with in-built intelligence enabling lower operating cost and improved connectivity. By continuously expanding its i-series, Sandvik is systematically building a safer, stronger and smarter underground loader and truck family. 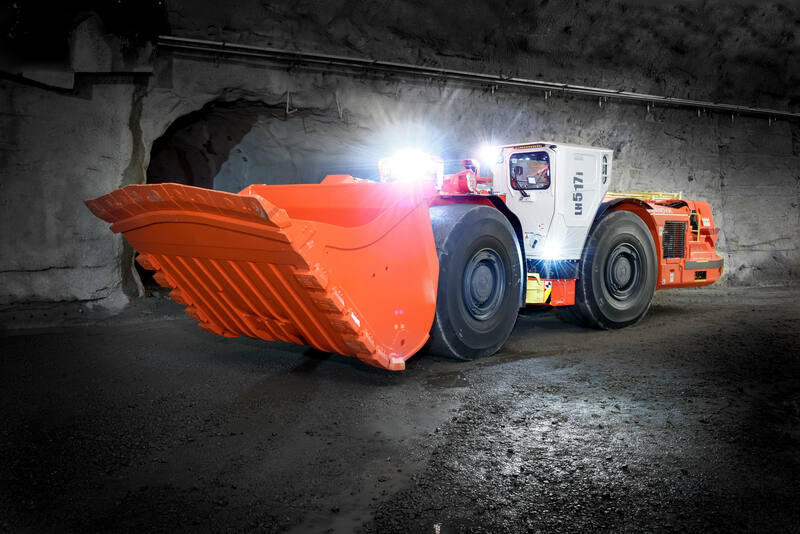 To expand its existing intelligent mining equipment offering, Sandvik takes the next step by introducing its first i-series loader; Sandvik LH517i. The starting point of the design was to respond to the 240 customer suggestions collected in customer forums that took place in Australia during 2015. By utilizing the collected data Sandvik was able to reduce the operating cost of the product through smarter placement of key service areas at the same time considering the safety and working comfort of the service team. Peter Campain, General Manager Plant, Barminco, Australia, appreciates Sandvik’s efforts to listen to customer suggestions to improve its products: “Barminco was involved in the Sandvik LH517 forum held in Perth and we were pleased to see that Sandvik had taken the majority of the customer suggestions and added them to the Sandvik LH517i,” he says. “The Sandvik LH517i continues to improve the maintainability and reliability of the loader and reflects the design philosophy used in the Sandvik TH663 truck which has given us great service,” Peter Campain continues. The new loader is a matching pair with the already introduced Sandvik TH551i truck, considering the designed payload capacities. For easy product health monitoring and faster trouble shooting the Sandvik LH517i features the latest Sandvik Intelligent Control System and My Sandvik Digital Services Knowledge BoxTM on-board hardware as standard. Flexibility to customers interested in tele-remote or full automation has been taken in to count by having the unit fully ready for automation, requiring just a few day Automine® retro-fit implementation. To improve operator comfort and productivity, significant improvements have been made to the operator’s compartment. This was done by designing a new more spacious and ergonomic cabin with increased visibility. “Introduction of the new Sandvik LH517i leads the way of the intelligent loader range. It highlights Sandvik’s desire to be the technology leader in the industry with smart and flexible digitalized solutions for new generation of mining. In the Sandvik LH517i, we have aimed to reduce the total cost of ownership by improving equipment maintainability and component lifetime. Also, the increased focus on operator comfort in the new Sandvik LH517i emphasizes Sandvik Product Area Load and Haul’s interest towards operator well-being and reduction of fatigue in underground operations”, says Olli Karlsson, Product Line Manager Mass Mining Loaders, Sandvik Mining and Rock Technology.